After she was diagnosed with an autoimmune disease in her early 20s, Phoebe Lapine felt overwhelmed by her doctor's strict protocols and confused when they directly conflicted with information on the best-seller list. After experiencing mixed results and a life of deprivation that seemed unsustainable at best, she adopted 12 of her own wellness directives - including eliminating sugar, switching to all-natural beauty products, and getting in touch with her spiritual side. 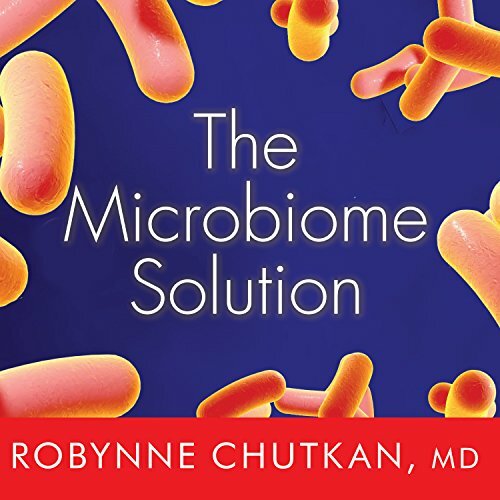 Learn how to prevent and reverse the leaky gut syndrome, reduce inflammation, relief pain, restore your gut microbiome, and regain energy today! Are you putting on weight even though you are eating a healthy diet and exercising regularly? Are you feeling tired all the time, experiencing horrible chronic pain, brain fog, or terrible digestive tract problems? Are you suffering from IBS, thyroid issues, or various skin inflammation conditions and want to seek alternatives to conventional medicine? If you answered yes, you may be suffering from the leaky gut syndrome. This is comprehensive, cutting edge, easily digestible (pun intended), even humorous at times. I finished the book in one sitting because I just couldn't put it down. If you have health issues; especially many of those for which there is little help or hope available, you owe it to yourself to get this book. If you don't have health issues you need this information to ensure that you remain healthy. I have recommended this book already to several clients and friends. The information was easy to absorb, easy to understand, and easy to apply. It sure helped me change a few things in my diet. I loved and agree with everything except the part about not using soap on your skin. I work with the skin and there are plenty of very clean, organically produced, chemical free cleansers that will not harm the skins natural protectant layer (the sebum layer produced by the skin). It is essential to remove free radicals and pollutants that settle on the skin every day and can be absorbed into the body (since your skin absorbs 60% of what you put on it). Other than that this book is amazing! Doctors are people too, and they can be off the mark. I was hoping this would be more soundly researched, but she lost me when she talked about pre-antibiotic history as though people didn’t suffer from terrible disease. Plague anyone? And I’m grateful I was vaccinated for whooping cough. She lost me after that. Lots and lots of great info here. 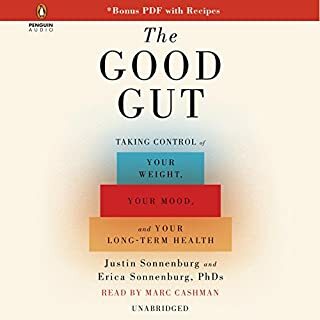 I have re listened to this audiobook twice now and incorporated lots of Dr. Chutkan’s advice into my daily diet/routine. That being said, without any spoilers, there is a lot of information about babies, mothers, and women - which is GREAT to have in the book but I found my self skipping quite a bit since, well frankly I’m not a girl! That is one tiny tiny tiny issue I have with the book - other than that it’s 5 stars in my book. While I did learn valuable, new information, it soon became repetitive and continuously referenced the authors’ other book and website. It could have been shorter & cheaper! Many chapters were just lists and were devoid of any real substance. Heavy on the anecdotes, not many clinical studies quoted. This seemed more like a glorified newsletter from a “functional medicine” gastroenterologist. I thoroughly enjoyed this book, I will apply some of the information provided in this book and share the information with my family. 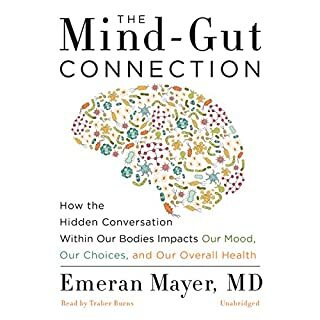 This book has a LOT of valuable content about the gut. The narration is terrible. I actually wonder if it is done electronically bc it sounds so robotic. 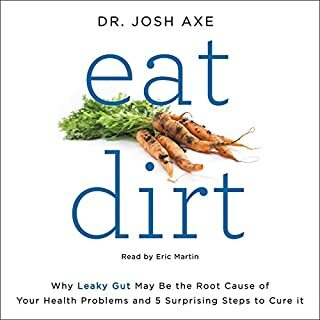 I have listened to a LOT of audio books, and the delivery on this one is by far the worst. I’m not an expert in any medical or related field, but I found this book clear and understandable. I love the pragmatic approach to applying the latest knowledge on microbiome to lifestyle decisions. I found the ideas expressed in this book very progressive and I feel it has impacted my views on medicine and health overall. A lot of the book has a feel of a reference which makes it very practical, especially the rundown of different type of bacteria and where on human body they’re located and the probiotic dietary sources and practical advices on probiotic supplements. Most recent research I found in other books is also cited here. A lot of the book focuses on child birth and rearing, so I’d especially recommend this book to expecting parents. 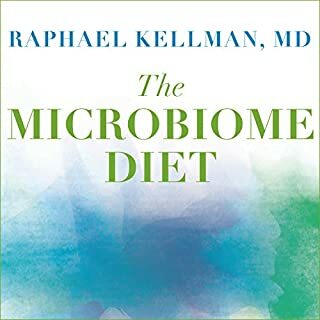 This book explains the important roles that your microbiome plays in your health, and how you can promote and maintain a wholesome microbiome balance. 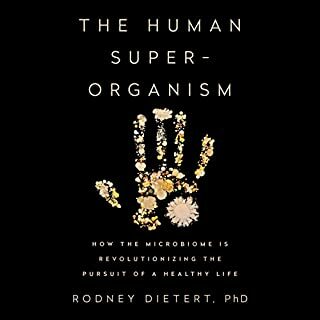 I recommend the book - its not too long, offers good advice, and helps clarify some of the science around this growing field of our relationship with all of the organisms that live inside of us.